NEW YORK -- If you want to see a tall population of men, go to the Netherlands. Tall women? Latvia. That's the word from researchers who analyzed a century's worth of height data from 200 countries. Results were released Monday in the journal eLife. 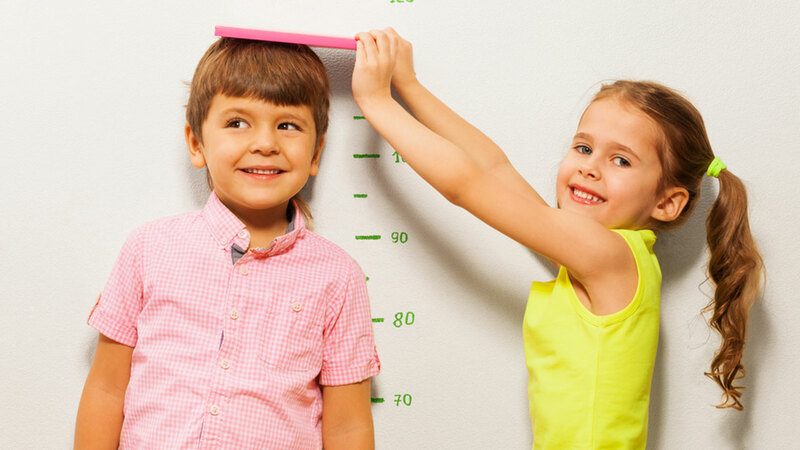 National height averages are useful as an indicator of nutrition, health care, environment and general health that people have experienced from the womb through adolescence, said Majid Ezzati of Imperial College London, who led the research. Genes also influence height. The tallest men in the new analysis were Dutch, with an average height of about 6 feet (182.5 centimeters). The next nine tallest countries in order for men were Belgium, Estonia, Latvia, Denmark, Bosnia-Herzegovina, Croatia, Serbia, Iceland and the Czech Republic. Latvia topped the list for women, with an average height of 5-foot-6 (170 centimeters). Rounding out the top 10 were the Netherlands, Estonia, the Czech Republic, Serbia, Slovakia, Denmark, Lithuania, Belarus and Ukraine. Over the century-long span of the study, the biggest gains appeared in South Korean women and Iranian men, who added 8 inches (20.2 centimeters) and 6 inches (16.5 centimeters), respectively. There was little change in South Asia and some sub-Saharan African countries. In the U.S., men gained about 2 inches (6 centimeters) over the century, with about 2 inches (5 centimeters) for women. The nation is now the 37th tallest for men and 42nd for women, researchers said. The analysis estimated that average height for U.S. 18 year olds maxed out at about 5-foot-10 (177.5 centimeters) for men in 1996, and at about 5-foot-5 (164 centimeters) for women in 1988. Since then height has stalled but not decreased significantly, said James Bentham of Imperial College London, a study author. Most Western countries, including the Netherlands, also have hit a plateau, although the U.S. reached it early, researchers said. The researchers didn't investigate the causes of the U.S. stagnation. But John Komlos, a visiting professor of economics at Duke University in Durham, North Carolina, said there could be several reasons. He didn't participate in the new study but has previously studied height. Komlos suggested such factors as lack of health insurance, shortfalls in medical and prenatal care, underweight and preterm babies from teenage pregnancies, and a rise in obesity, which leads to earlier puberty and so stoppage of growth. The shortest female population in the study is in Guatemala, at an average of 4-foot-11 (149.4 centimeters). It is followed in order by the Philippines, Bangladesh, Nepal, East Timor, Madagascar, Laos, the Marshall Islands, India and Indonesia. The shortest male population is in East Timor, at an average of 5-foot-3 (160 centimeters). It is followed by Yemen, Laos, Madagascar, Malawi, Nepal, Rwanda, the Marshall Islands, the Philippines and Mauritania.